Item is a pencil sketch of a costume design for Dalhousie Theatre's 1981 production of The Government Inspector. The costume is for a character called the Prefect, played by Mark Latter. 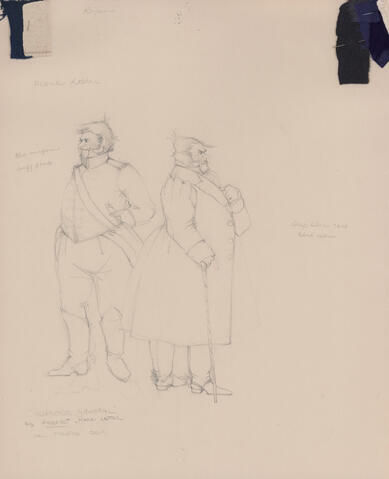 The sketch shows two male figures, one with a coat and the other without. There are fabric swatches pinned to the sketch.